Just received a fabulous new CD from Kraftyhands 'TEAM SANTA' and it will be available to you all very soon, this is card set 2 from the Cd, how cute are these little fella's, I printed out my card set and also pale blue spotty background..sprayed with crafters companion's glitter spray added the decoupage layers finishing of with diamond stickles. My second card is a pyramid card, I printed out Pyramid topper 4 from the CD, layered it up and mounted on silver card, this time I used the gift box backing paper which ties in nicely with the image finishing off with a silver ribbon trimmed with pale blue..easy peasy just lovely for the festive season. 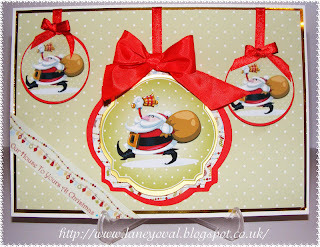 For my final card I printed out this fabulous topper sheet layered them up on red and gold card also printed the green spotty background paper added the red ribbon to make them look like baubles, how fun is this Santa... just too cute!! and finishing off with one of many sentiment strips. Keep up to date with whats going on at http://www.kraftyhandsonline.co.uk/ and visit our blog at http://kraftyhands.blogspot.co.uk/,if you like facebook? you can find Kraftyhands there too!! http://www.facebook.com/kraftyhands. If you are in the north like me you can meet the guys at Ross Papercraft show at Rainton Meadows Arena Houghton-le-spring this Sunday 24th June please pop in and say Hi..the guys will love it!! 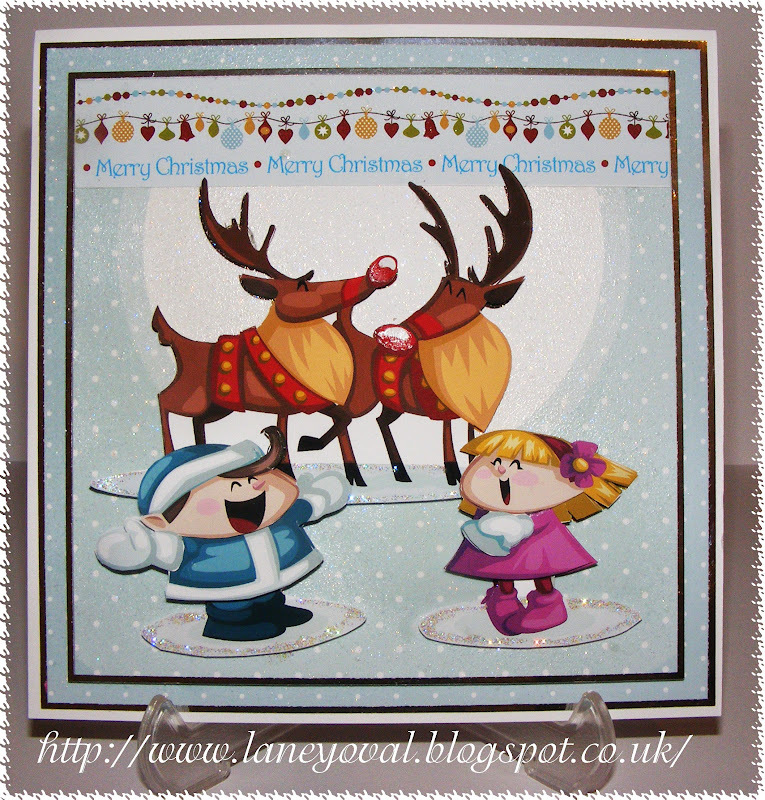 HI Laney, gorgeous cute cards!! hope your well?! 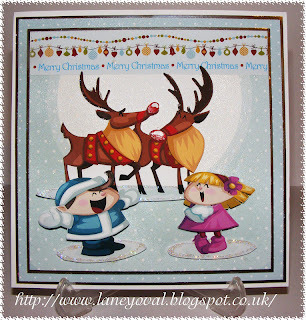 Just seen these fantasmatastic samples this morning Laney....OMG you've done it again! We're both bowled over!!! These are absolutely stunning Laney! I love them all and you sure know how to give the cards the "WOW" factor. Fab cards Laney! Love them all!